In 2006, hedge-fund manager John Paulson realized something few others suspected: that the housing market and the value of subprime mortgages were grossly inflated and headed for a major fall. Paulson's background was in mergers and acquisitions, however, and he knew little about real estate or how to wager against housing. He had spent his career as an also-ran on Wall Street. But Paulson was convinced this was his chance to make his mark. He just wasn't sure how to do it. Colleagues at investment banks scoffed at him, and investors dismissed him. Even pros skeptical about housing shied away from the complicated derivative investments that Paulson was just learning about. But Paulson and a handful of renegade investors, such as Jeffrey Greene and Michael Burry, began to bet heavily against risky mortgages and precarious financial companies. Timing is everything, though. Initially, Paulson and the others lost tens of millions of dollars as real estate and stocks continued to soar. Rather than back down, however, Paulson redoubled his bets, putting his hedge fund and his reputation on the line. In the summer of 2007, the markets began to implode, bringing Paulson early profits, but also sparking efforts to rescue real estate and derail him. By year's end, though, John Paulson had pulled off the greatest trade in financial history, earning more than $15 billion for his firm - a figure that dwarfed George Soros's billion-dollar currency trade in 1992. Paulson made billions more in 2008 by transforming his gutsy move. Some of the underdog investors who attempted the daring trade also reaped fortunes. But others who got the timing wrong met devastating failure, discovering that being early and right wasn't nearly enough. 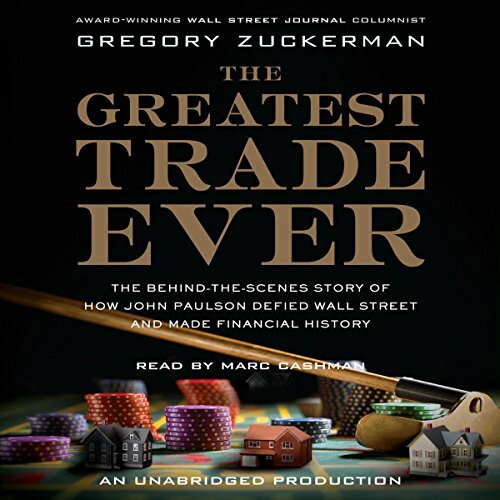 Written by the prize-winning reporter who broke the story in The Wall Street Journal, The Greatest Trade Ever is a superbly written behind-the-scenes narrative of how a contrarian foresaw an escalating financial crisis. This book may have been a decent report when it was published but it has since been overtaken by more complete or better written accounts. 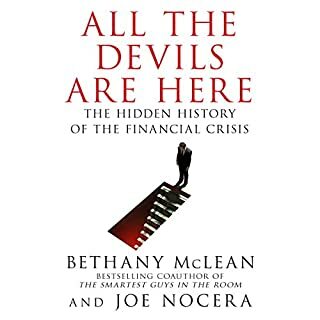 "All the Devils are Here" is an amazing comprehensive tome on the financial crisis and 30 years of policies that got us there. "The Big Short" focuses, like this book, on people who shorted the housing market but it more insightful and better written. 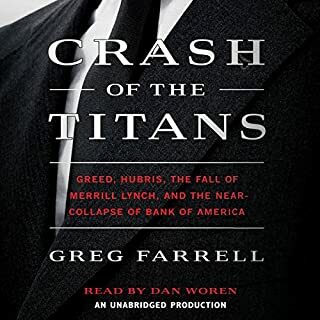 if you have read the big short by lewis don't bother reading this book as there is nothing new. if you have a choice between the two books go with michael lewis. he is a better writer and the narration is also better. This book gives excellent background detail and provides a clear understanding of the complex world of hedge funds. Well thought out storyline without too much technical BS made it easy to follow for a layman. 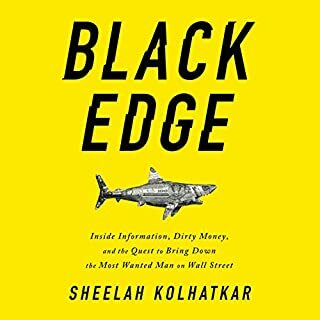 If you like financial stuff you will like this book. It has a good list of characters and is very interesting. Whether you are a Wall Street professional or an average reader, I think you will find this book highly entertaining and very educational. The author does a great job of developing the story, the players and explaining all the finance behind it. 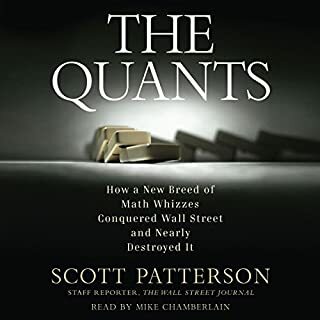 It's a great account of what led up to the financial crisis and how it began to unravel and also gives you a lot of perspective into Hedge Funds and Investment Banks. 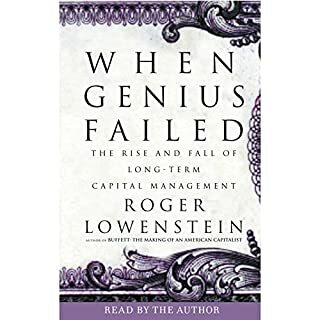 This book was written in a similar fashion as "When Genius Failed" which is another good Wall Street book. This is a great story about the company and the man who did the trading. It also provides a very nice description of what was happening with CDO's, the housing market, and Wall Street. You will understand what happened after listing to this. You will also wonder how the big companies did not see it coming much sooner. 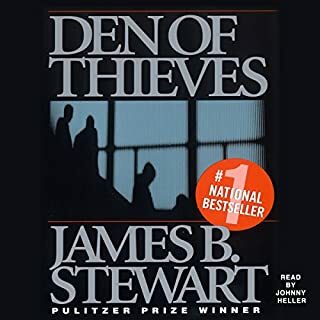 What a great book that keeps you at the edge of your seat. A great way to understand the fraud wallstreet has been allowed to create legally. The practice should be outlawed. if they made a film out of the book I would certainly go and see it. Even audio is over 11hour long, it took me two days to finnished. Narrator is also as good as the book. A good listen, but i left out a couple of fundemental aspects which make the trade even more special.